Hi friend! I hope you are having a great week. This week, I don't have any hot tips for you. But I have a very full and heavy heart. For a few reasons that if you care to read I would love to share. Last month a fellow photographer in the community was suddenly and unexpectedly diagnosed with stage four lung cancer. What? How? Not fair. She and I have only known each other in the online space, however this feels very personal for me. Why? Well, she is me. And perhaps she is you too. She is a photographer. She is a mother of three. She is a wife. She is a human. I tend to be one who wears my heart on my sleeve and who easily absorbs others troubles. And after being a nurse for 10 years it became easy for me, something I did and carried. But this hit me hard. It hit a lot of us hard. Alix found out her tumor was the size of a lemon so she coined her cancer as Alex's Lemon and has been bravely blogging about it. Yesterday the global community of photographers that I am so proud to be a part of rallied for her. 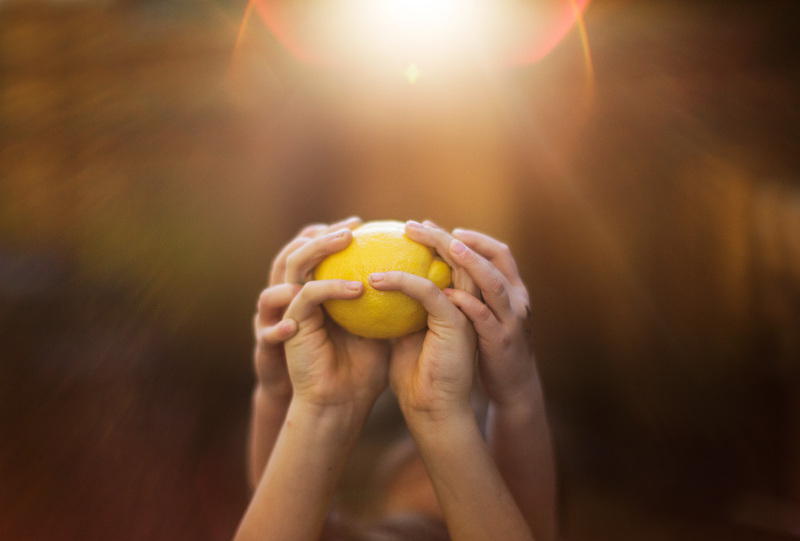 We all took a photo with a lemon in it to brighten her spirit and to show her that we are in fact behind her. Weather that be with positive energy or thoughts, or perhaps prayer. I could quite literally feel the energy vibrating around me yesterday and it made me cry on multiple occasions. At the end of the day she received amazing news. That the cancer is much more treatable and that her life expectancy went up in a huge way. Again, tears. Energy is powerful. Faith, however you define or practice it is powerful. We are powerful. Never be afraid to jump into a community. Never be afraid to be kind. Never be afraid to give.You never know when you might need to tap into that energy from all around the world. On a lighter note but from the same sentiment my best friend Bre Thurston and I hosted our third retreat this past month in Austin, TX. Holy moly! That city is so rad! But again, I was reminded about the power of community. We laughed, we cried, we ate too much, and we bonded. Each incredible woman there had a breakthrough which is magic to watch. Just being about to help foster these communities and help guide through this very complex process that is being an artist brings me a joy and fulfillment I didn't' know I needed. So enough from me. I just wanted to reach out to you, my people and say, I hear you, I support you, and I am you. We are all one in the same, just on a different part of the path.